Published to coincide with editor Blake Bailey's groundbreaking new biography, here is the definitive edition of the stories of John Cheever. Set in the tony suburbs of Westchester and Connecticut, Cheever's classic stories charted a country as recognizable and essential to American literature as Faulkner's or Hawthorne?s. ?Many people have written about suburbia, ? John Updike observed, ?only Cheever was able to make an archetypal place out of it.? 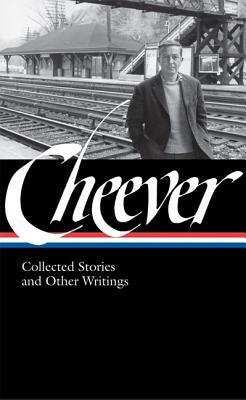 "Collected Stories and Other Writings" combines the entire Pulitzer Prize?winning collection, "The Stories of John Cheever," with seven selections from his first book, "The Way Some People Live" (1943)?here restored to print?and seven additional stories first published in periodicals between 1930 and 1953. Included are masterpieces such as ?The Enormous Radio, ? ?Goodbye, My Brother, ? and ?The Swimmer, ? as well as lesser-known gems. Rounding out the volume are essays about writers and writing, including an appreciation of F. Scott Fitzgerald and an account of a visit to Chekhov's house. A companion volume, "Complete Novels," gathers Cheever's five novels in one volume for the first time.